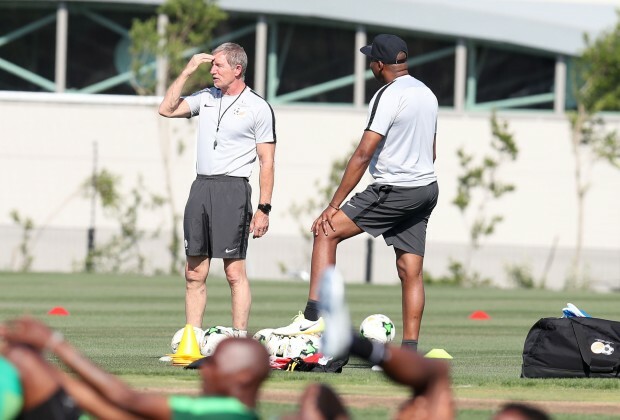 Bafana Bafana assistant coach, Molefi Ntseki, has welcomed the Africa Cup of Nations draw as a mix of countries from all the regions, as the South African senior national team will be playing against some of the top teams from the continent in the tournament. Following the 2019 draw that was conducted in Cairo on Friday, it has been confirmed that Bafana will play Morocco, Ivory Coast and Namibia in Group D.
Ntseki, who attended the draw in the absence of Stuart Baxter, said he would table a report about the draw and that the technical committee will plot a way forward on how to get results out of their group. “In all fairness, we have a mixture of the South (Namibia), the West (Cote d’Ivoire) and the North (Morocco) and we have an understanding on how to handle such a situation,” said Ntseki. Meanwhile, Namibia coach Ricardo Mannetti refused to call the group the Group of Death, after some in the football fraternity, have dubbed it to be. “I don’t consider this a group of death. In fact, I consider this draw the best that Namibia could have hoped for. We have worked very hard to get here. But to have been dumped into a group that consist of these big giants could be a blessing in disguise because remember, these nations must still face each other as well. When our name was pulled out alongside these giants I could hear people sigh and say, ‘Poor Namibia’. But the truth is that we have nothing to lose. It is these other three countries that have to beat each other that have more pressure,” said Mannetti. Namibian coach is right, there is no group of death here.All countries fought hard to be there, we South Africans always look for an easy road to win. It's high time now we to learn to beat the best in order to become the best.